A 58-year-old female presented with generalized seizures on a background of migraine headaches with aura, which had become increasingly severe over the last 2 weeks. Past history was significant for a right cerebellar hemisphere medulloblastoma at the age of 30, successfully treated with complete resection and adjuvant focal radiation therapy. At presentation, electroencephalogram trace suggested epileptogenic discharges over the left temporal and parietal regions on a background of diffuse encephalopathy. Initial MRI brain (1.5 T Siemens MAGNETOM) demonstrated extensive gyriform T2-weighted and FLAIR signal hyperintensity in the left temporoparietal lobe, which corresponded to intense gyriform enhancement on T1-weighted post-contrast images. There was no evidence of tumor recurrence [Figure 1]a-c. The clinical course was complicated by an episode of status epilepticus and sudden onset of right-sided hemiparesis. Initial seizure control was achieved with anti-epileptic medication (phenytoin and levetiracetam) and the patient also had corticosteroid therapy, which led to mild early improvement in hemisensory deficits. Four weeks after presentation, she commenced intense neurorehabilitiation for persistent motor deficits over a 3-month period. Follow-up magnetic resonance imaging (MRI) at 3 months showed resolution of the enhancement and signal abnormality in the left temporoparietal lobe, although the affected hemisphere showed mild to moderate atrophy [Figure 1]d-f. Eventually the patient returned home although requiring personal assistance and at 6 months has residual weakness in the right upper limb greater than the lower limb. Stroke-like migraine attacks after radiation therapy (SMART) syndrome is a rare complication of brain radiotherapy with delayed onset of neurological impairment decades following initial irradiation and unrelated to tumor recurrence. ,, Clinical manifestations include migraines, seizures and stroke-like deficits such as hemiparesis, speech and sensory disturbances. Earlier reported cases of SMART were described as both clinically and radiologically reversible, usually over a few weeks. However, a recent larger cases series has demonstrated irreversible neurological deficits in a subset of patients. , MRI features during the acute episode of neurological disturbance are characterized by gyriform T2-weighted and FLAIR signal hyperintensity and leptomeningeal enhancement seen most commonly in the temporoparietal and occipital lobes. In uncomplicated cases clinical remission is mirrored by complete resolution of MRI abnormalities. However in a subset of patients with permanent neurological deficits, follow-up MRI may reveal evidence of cortical laminar necrosis or acute ischemia and in our example marked atrophy was observed in the affected temporoparietal lobe on follow-up MRI. The lower radiation dose threshold to cause SMART syndrome is not known, however most reported cases have received at least 50 Gy. Although the pathophysiology of SMART in not completely elucidated, possible mechanisms include radiation induced small vessel vasculopathy or underlying neuronal dysfunction perpetuated by recurrent seizure activity. Radiologists and neurologists should be aware of the typical clinicoradiological features of SMART syndrome and the possibility of irreversible neurological deficits, which have previously been under-recognized. Black DF, Bartleson JD, Bell ML, Lachance DH. SMART: Stroke-like migraine attacks after radiation therapy. Cephalalgia 2006;26:1137-42. Black DF, Morris JM, Lindell EP, Krecke KN, Worrell GA, Bartleson JD, et al. Stroke-like migraine attacks after radiation therapy (SMART) syndrome is not always completely reversible: A case series. AJNR Am J Neuroradiol 2013;34:2298-303. Kerklaan JP, Lycklama a Nijeholt GJ, Wiggenraad RG, Berghuis B, Postma TJ, Taphoorn MJ. 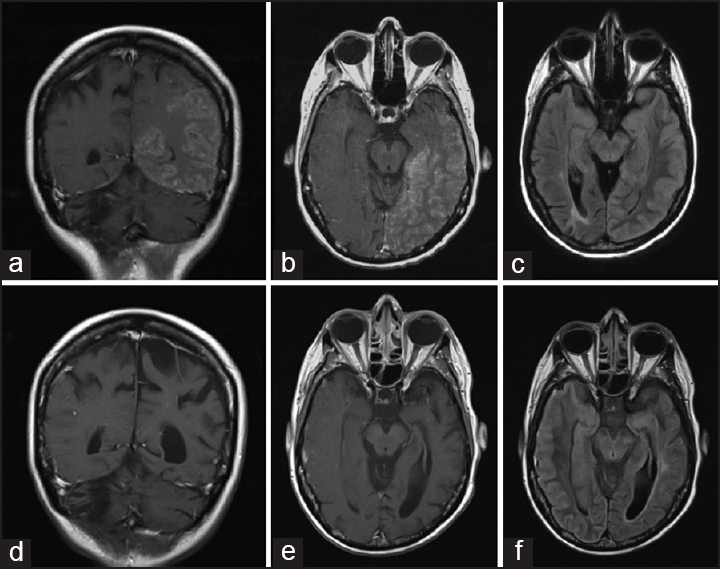 SMART syndrome: A late reversible complication after radiation therapy for brain tumours. J Neurol 2011;258:1098-104.